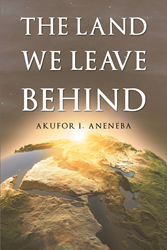 Recent release “The Land We Leave Behind” from Page Publishing author Akufor I. Aneneba is the story of one man’s conviction that his civilization, which was once decimated by the effects of the slave trade, is being threatened again. This time, not only from the moral authority of a radical Roman Catholic priest, but from the conflicting views of his own son’s dithering with the very basic tenets of an upbringing he grew up embracing. Akufor I. Aneneba, born in the Cameroons and is currently licensed to practice law in the State of New York, has completed his new book “The Land We Leave Behind”: the protagonist’s, Johnathan’s, journey will take him from the grass fields of Tchou and the urban sophistication of North America, to the Jungles of the Amazon, where he will make a stunning discovery of epic proportions. Visit his website: http://www.thatland.org. Published by New York City-based Page Publishing, Akufor I. Aneneba’s riveting work is about Johnathan, who is torn between his newfound love in a woman he meets in America, and his father’s dream of him becoming the beholder and guardian of what remains of their civilization, the son treads carefully into the unsettling embrace of his father’s closest confidante – his own mother – to entreat himself into something that resonates with his passion, while still honoring the dictates of his culture and his father’s wishes. Using the science of onomatology, he discovers that Brazil’s leading scientist, who is also likely to be one of two brothers boarded onto a slave ship for the New World, is actually from a small kingdom in the tropical rainforest of the Cameroons. There is another twist in this saga, because a slave who successfully staged the first nonviolent escape from the Southern cotton fields of North America, and adopted the name David, as a free man, may indeed be of the same lineal descent with the scientist in the Amazon. This book, also extrapolates the biblical significance of the mythos of the Trinity; and how it was used by the slaves to escape into freedom’s reach. Readers who wish to experience this intriguing work can purchase “The Land We Leave Behind” at bookstores everywhere, or online at the Apple iTunes store, Amazon, Kobo, Google Play, Barnes and Noble.